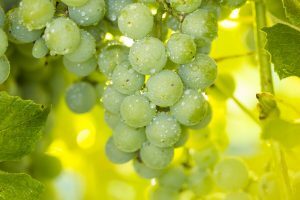 Welch’s Global Ingredients Group presents a new Niagara grape juice, described as “a unique golden American superfruit juice” that is naturally high in polyphenols. Made from the white Niagara grape varietal, the new juice is “crisp, sweet, light and refreshing”, Welch’s said. With no added sugar or artificial colours or flavours, it delivers a bolder and more floral flavour notes than other white grape juices, the company added, but is still light enough to blended with other juices in a way that complements them rather than overshadowing them. In common with its Concord grape cousin, the Niagara grape is unlike ordinary table grape varieties. It has a thick skin and crunchy seeds that provide naturally occurring plant nutrients, which act as antioxidants and can also contribute to health. To preserve this inherent nutrition in the Niagara grape juice, Welch’s squeezes the whole grape, including the skin and seeds, to release these plant nutrients, or polyphenols, straight from the grape and into the juice. Each 8oz glass counts as two of the five recommended daily servings of fruit and it has a beautiful golden hue that makes it looks “as exquisite as it tastes”.